As the weather begins to warm up and the sun is out more, I cannot help but be anxious about the thought of spending more time outdoors with my family. May is always a month where I find myself looking for ways to refresh my routine and bring a new spring to my step. Can you relate? May is also known as Melanoma Awareness Month. 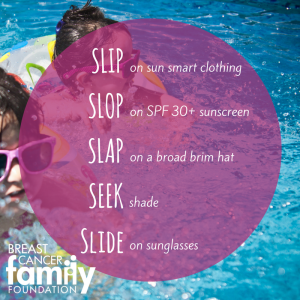 Did you know that skin cancer is the most common type of cancer in the United States? With our skin being our largest organ, skin cancer is no joke! Please make sure that your using sunscreen, even on those cloudy days! 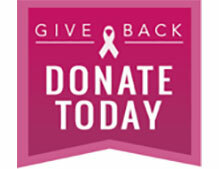 At the Breast Cancer Family Foundation, we are closing in on the end of another great school year! We are thankful for the many opportunities we had to influence our community. Our impact does not stop here though! Summertime brings camps, day programs, summer school, and our personal favorite, the Titletown Bike Tour! Living a cancer-free healthy lifestyle is a year-round mission for us! 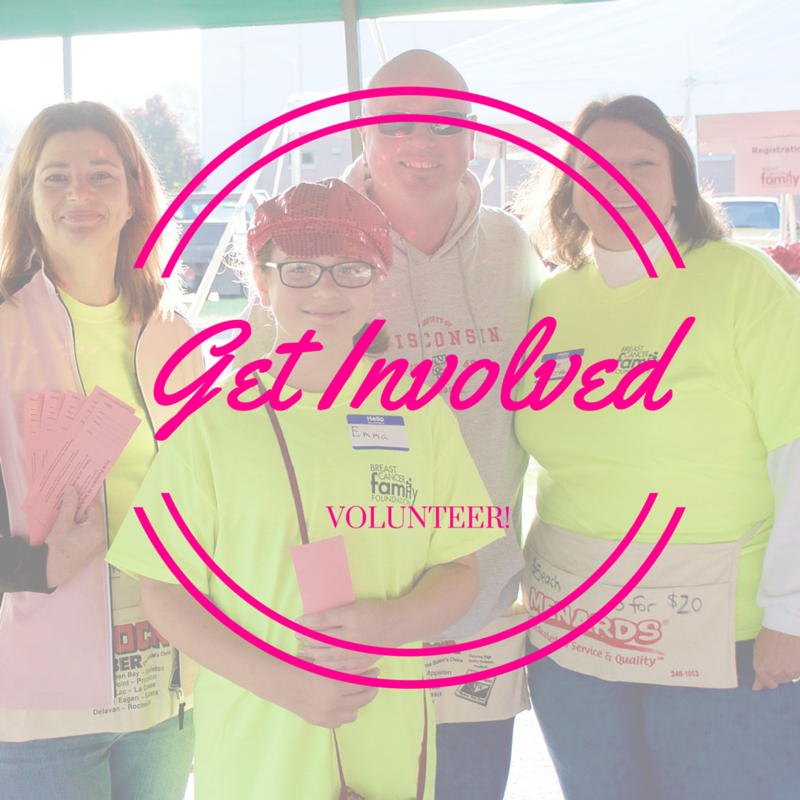 Please join us by getting involved in your community, signing up for an event, and by helping us end cancer with education! Breast Cancer Family Foundation (BCFF), a local non-profit organization providing educational presentations on cancer awareness and prevention, is pleased to announce the appointment of Diane Gaywont as Executive Director. Diane brings more than 10 years of leadership and project management experience and a passion for promoting health and wellness to BCFF. Prior to becoming Executive Director of BCFF, Gaywont held positions both in the for-profit and not-for-profit sectors, most recently as the Director of Operations at myTEAM TRIUMPH. Gaywont assumes the position with BCFF with valuable experience in leadership, organizational structure, marketing, community outreach, fundraising, and communication skills. Gaywont graduated from St. Norbert College with a B.A in Psychology and Sociology. She has a strong commitment to her community and passion for volunteerism. Diane resides in Green Bay with her husband, Shawn, and two children, Ayden and Madison. Spring is here which means warmer weather is right around the corner! Here at BCFF we are looking forward getting outside and soaking up some vitamin D! Spring is a great time of year to have fresh starts and new beginnings, especially in relationship to our lifestyle choices. How does changing habits like diet and exercise affect your risk for cancer? Much more than you might think. Research has shown that poor diet and not being active are 2 key factors that can increase a person’s cancer risk. The good news is that you do something about this. TODAY is a great day to be the change you hope to see not only in yourself, but your family members and friends. As you begin the month of April we encourage you to seek out community events that help you reach your goals! Titletown Bike Tour is a great place to start as we offer distances from a family friendly 15K all the way up to a full century ride! If bike riding is not for you, consider joining us in October for our 10th annual Pink Pumpkin Walk! This is an event that brings our mission to life in a way that you have never seen before. From survivor stories to the pumpkin patch, there is something for everyone to enjoy! No matter what goals you choose, make sure to share your goals with friends and family to help keep you accountable. Having a positive support system is key to making lifestyle changes!